This mix of Italian reds, mainly from Tuscany, is perfect for pastas, soups, stews and braised meats. Also, with cooler days arriving, the full-bodied whites of Alsace are ideal wines to reach for as you make the transition to fall. There's nothing like a powerful Rhône or Rhône-style red to make a flavor statement as well. And finally two reds and two whites from the west coast make up this group of values. 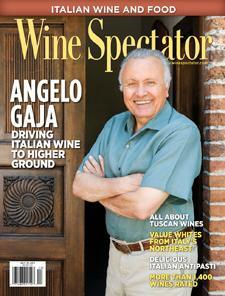 Wine Spectator's Bruce Sanderson explains.